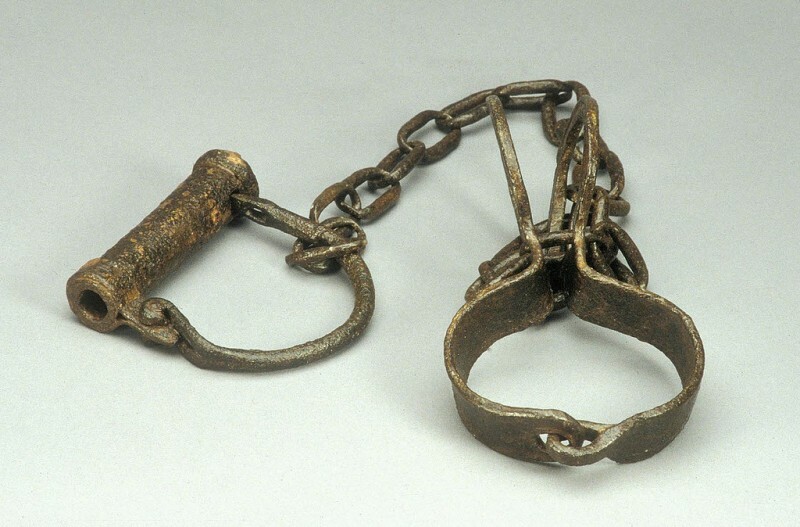 “Slave shackles”; photo by National Museum of American History Smithsonian, used under a CC BY-NC 2.0 license. People have been blowing up my phone non stop, asking for a response to David Cameron saying Jamaicans should get over slavery and move on. Not just that, but the whole idea of this dough-faced Tory coming to the colonies to tell the subjects what's what in our own damn house. Listen David bae, I feel you. I'm with you on this forgetting slavery business, screw all the haters. I too am all ready to move past slavery and forget the whole thing. I just have one condition: YOU FIRST. You heard me. 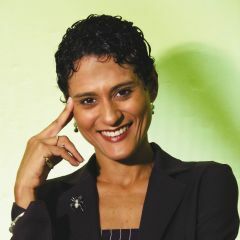 I promise to stop bitching about the legacy of Slavery and Colonialism (don't get it twisted, the latter was even worse) and move on if you also move on, by destroying every building, every landmark, every statue, every port, every bridge, every road, every house, every palace, every mansion, every gallery (Hello, Tate! ), every museum, and every ship built with slavery and colonialism blood money. That would mean that London, Bristol and Liverpool would all have to go. Then we'd all be just about full free, David. Sensing a distinct lack of gratitude from the Jamaican people during his first official visit to the island, British Prime Minister David Cameron has formally agreed to strike a compromise with the local Government so we can stop nagging him about this whole reparations thing once and for all. The statement, which the United Kingdom has described as the closest we will ever get to an apology, ‘so you can just forget about that,’ is the latest sign of goodwill from the nation who also graciously gifted us the opportunity to relieve some of the burden on British taxpayers with a brand new prison complete with convicted criminals. The legacy of slavery in the UK is seen in the way British influence around the world far exceeds the size and resources of our island […] a global reach that was established, fuelled and maintained by slavery. And every single day the legacy of slavery is seen and felt in the UK and internationally as racist attitudes and actions doggedly continue to blight our communities. […] I find myself asking if our nation's actions had been towards another European country whether we'd so quickly dismiss the notion of reparations, or indeed whether the global community would continue to turn a blind eye. And how can two nations walk in partnership, when one has so grievously abused the other, and the legacy of that abuse continues? It's not a matter of ‘dredging up the past’, but rather dealing with the present. For the UK, the stain of our past lingers, and we have dealt unjustly with Jamaica. It is the responsibility of the generation that is aware of the injustice to fix it. For us in the UK, it;s a matter of righteousness. We cannot lecture the world about how to govern their affairs when we ourselves have left unfinished the matter of once and for all dealing with slavery. David Cameron must listen with an open heart and mind to the call for reparations, and have the courage to do what is right. In Spain we had the same debate some years ago. It ended quickly, since there was a very easy answer. When they said “you conquered and enslaved us”, the answer was as easy as “No, we didn’t. Our ancestors were the people who stayed in Spain. The people who went to America, conquered it and enslaved the people who lived there didn’t come back, and eventually they became independent. They were YOUR forefathers, not ours”. This will help that very easy answer: http://www.independent.co.uk/news/uk/home-news/britains-colonial-shame-slave-owners-given-huge-payouts-after-abolition-8508358.html. Many poor Europeans stayed in the Caribbean, for a number of reasons. There were many absentee enslavers who stayed in Europe and built their dynasties and countries right at home. Some children of enslavers also stayed in the Caribbean and some right back in Europe. So I hope that helps with that very easy answer.